Rising up is not as easy to do as we think it is. This entitles us to do the things that we are meant to do. 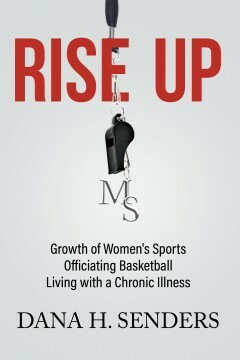 It's about overcoming the weakness in woman's basketball officiating. This also help us to figure out what to do when you have a chronic illness and how to succeed. As I rose up to do all the things that I could do I had obstacles to face. From the beginning of the challenges in officiating, to the things that I rose up to do through my Years of Living. To working as staff at Major League Sports too fighting Multiple Sclerosis. I live the life of coming in and out of health obstacles and how to deal with what I was handed. I enjoyed every step of the way even though it was a fight to succeed. This book is about everything that came along the way that I had to rise up to do. Dana Senders is a 60 year-old woman, currently struggling with the debilitating effects of multiple sclerosis (MS). Dana, with the urging of those dear to her, shares how she lived an active life before MS, during early onset of the disease and now, as MS effects every moment of her life. Dana was a business woman, an NCAA Women’s Basketball regular season/tournament referee, owner/ Director of a successful Officiating Camp and Coordinator of Women’s Basketball Officiating in the West Coast Conference. Dana impacted the lives of hundreds of individuals pre-MS and during the last 10 years as this disease changed the course of her life as she knew it. Reading this book will effect how you view yourself. Whether you are healthy or yet unaware of your physical well-being. 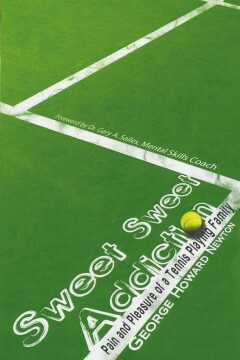 Dana made a difference in everything she was associated with… pre and post MS.
Sweet, Sweet Addiction relates the story of a family man driven by his passion to learn tennis at an age when most professional players retire. George Newton is age 33 when he finds the game. He plunges into the sport and pursues it as if he is addicted. He dealt with the duplicity of balancing tennis practice against the demands of domestic and professional life. The story unfolds a progressive development of this tennis family. The Senior Newton advanced through years of competition to National and International Levels. His wife, Rossana evolved to become his main cheerleader, scorer-keeper and “coach”. His sons Geoff and Greg obtained Athletic University Scholarships. The book concludes with the author changing careers from Education to Sports. Newton follows his passion and becomes a Certified Instructor. Consequently, he motivates hundreds of players to enjoy the sport. The book appeals to adults (no matter how old), to pursue their passion aggressively and live a fulfilled life. The college recruiting success of high school athletes most often falls on the shoulders of their parents. Earning a real college sports playing opportunity depends on what you know, or don’t know. 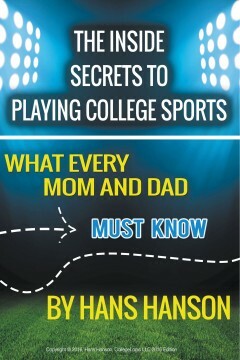 The Inside Secrets to Playing College Sports—What Every Mom and Dad Must Know provides parents with the inside secrets and critical knowledge that’s needed to successfully navigate the complex recruiting process. This book teaches parents what they must know in order to manage the college recruiting process effectively, from start to finish. Parents will learn the CollegeLogic Ten Step process that’s proven to deliver desired results.